William completed his medical degree at the University of Otago, New Zealand in 2003. He commenced his radiology training in 2008 at Waikato Hospital in New Zealand. 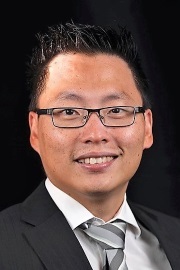 In 2015 he moved to Perth to commence fellowship training in Paediatric radiology at Princess Margaret Hospital (Jan 2015-Jan 2016) and a subsequent neuroradiology fellowship at Sir Charles Gairdner Hospital which he completed early in 2017. He joined Perth Radiological Clinic in 2017.